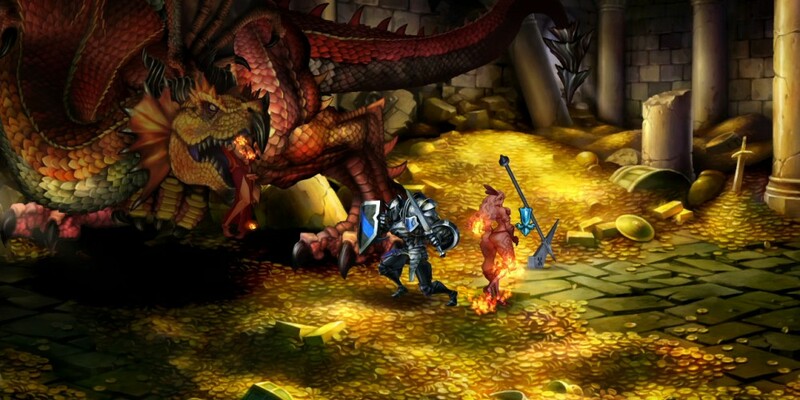 We loved Dragon's Crown when it launched earlier this year despite some quirky design decisions. Thankfully Atlus seems to be committed to tweaking and enhancing the PlayStation 3 and PlayStation Vita game post launch. Version 1.02 has just been released offering over a dozen fixes, enhancements, and goodies. The biggest feature is the ability to join random co-op games in the Labyrinth of Chaos dungeon. This randomly generated dungeon with nine floors offers players access to unique loot, so the addition of finding random co-op partners is much welcomed. The other welcomed fix is a better handling of network disconnects, ensuring players don't lose as much progress as before. The full patch notes are listed below. Simply fire up your copy of Dragon's Crown to apply it. Added an option to join random online games in the Labyrinth of Chaos to the Network Menu. To enhance player character visibility, a triangular cursor has been added to the bottom of the screen. Wizard: Charging MP when the MP is already at maximum will cause magic power to increase. (PS3 version only) When playing offline multiplayer games, the story progression will now be saved for all characters. If a network communication error occurs in online play, the game will now continue in the same stage rather than kicking the player back to town. Amazon: A successful Parry raises Berserk level by 1. Amazon: The Necksplitter attack can now be cancelled. Various Skill effects of all character classes have been adjusted. Other tuning and minor improvements to various gameplay elements were made. Page created in 0.2577 seconds.